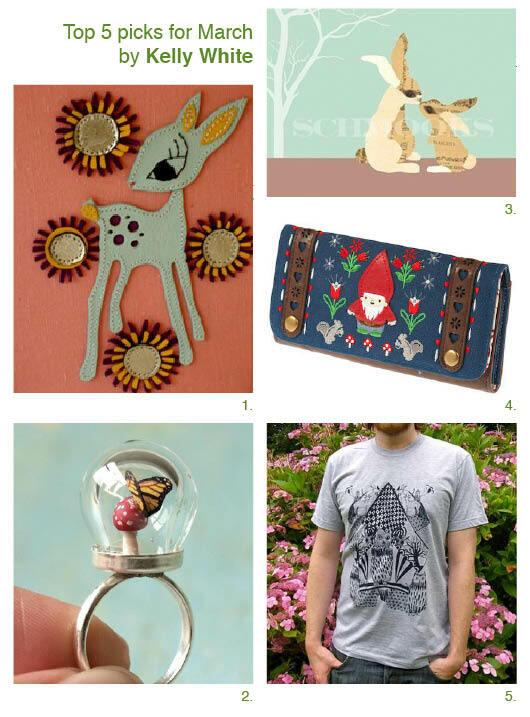 We are very excited to continue our new monthly Gift Guide feature on our blog. Every month we will have guest contributors sharing their top 5 indie design & art online picks from both Australia and around the world. 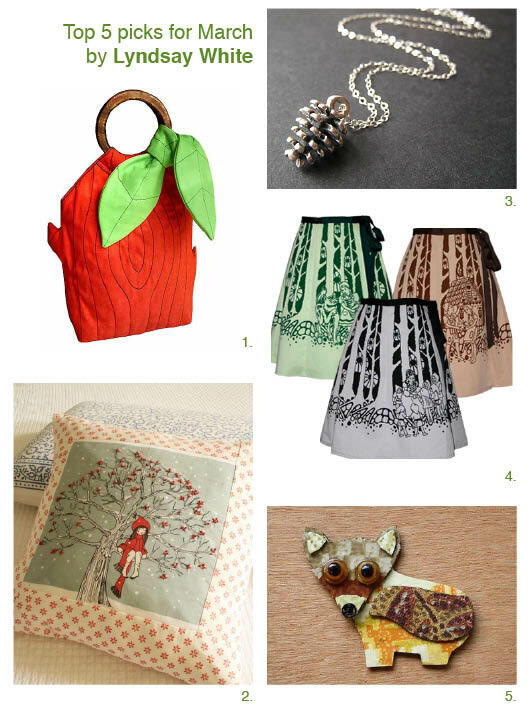 Our first Gift guide was February based on a Valentines theme you can see it here – this month we are featuring all things Woodlands, our guest contributors have scoured their favourite online shops to bring you the below – Enjoy! 3. 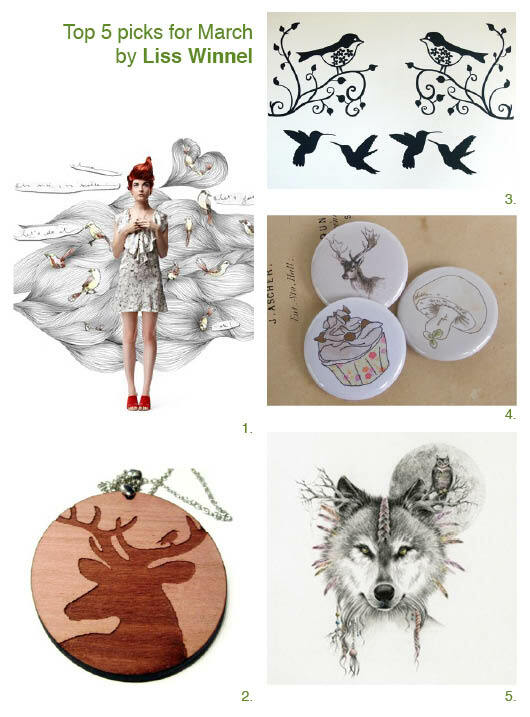 Pine Cone Pendant by Oh Deer! Gorgeous products & gift guide! My fave would have to be Naomi’s brooch! Amazing selections by amazing people! 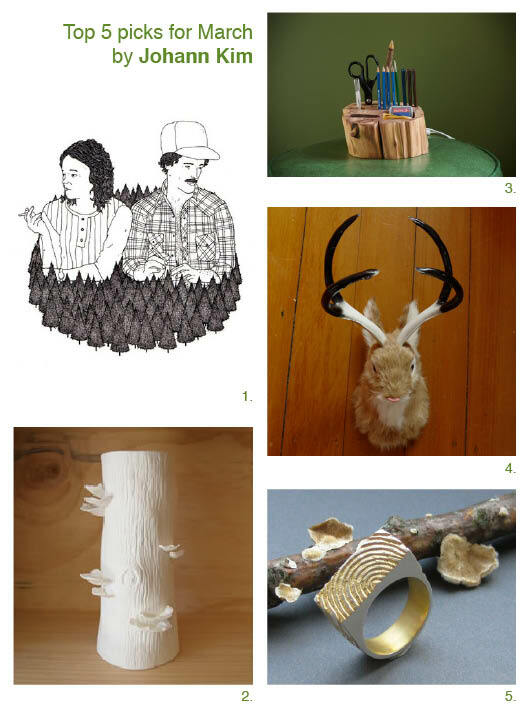 So honoured to be apart of Liss’ picks! Thankyou! Happy March! Adore the woodlands purse! Great variety for a theme that has been done to death – lovely fresh new items. 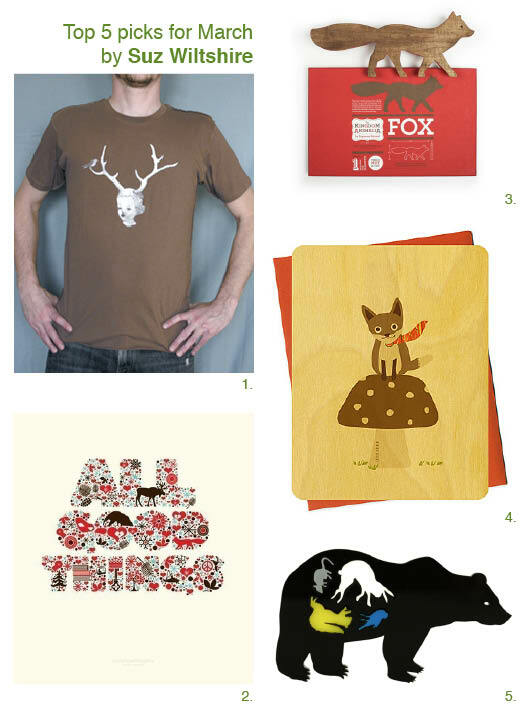 What a fun gift guide! Thanks for featuring us! Lyndsay White. I like your style. Yummy. 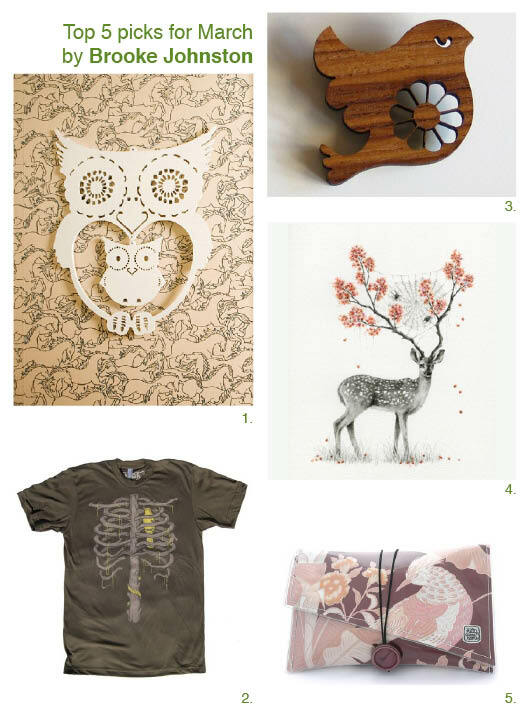 Our line is chock full of wilderness wonderment, so we welcome you to stop by and view our entire selection online at http://nightowlpapergoods.com. And to thank you for your support, we’d like to offer you and your readers 15% off all orders placed before March 20! Simply enter the coupon code “finderskeepers” at checkout. Here’s to a super lovely spring!